This is the guide to my favourite cheap eats in Bandra, all under INR 100, something for the food-lovers on a budget to rejoice about. With everything from Goan sausage to dahi chaat, this list has kept me going till many-a payday. This fiery, orange-hued Chin-dian speciality is a favourite among college students, thelate-night crowd on Carter Road, and apparently even Salman Khan. And is absolutely worth every penny. Not much has changed about this old-school lemon tart over the years – the same crumbly tart base, the same tangy lemon curd, and the same pricing. This unassuming farsan shop makes some of the best chaat this side of Bandra. 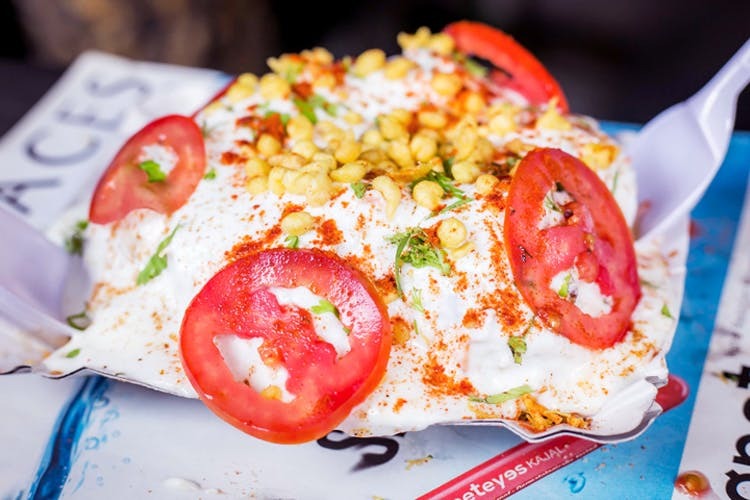 Opt for their dahi puri – humongous puris come topped with heaps of thickened curd, tangy meethi chutney, fried dal and roasted peanuts, making this a meal by itself. Forget bhajiyas and chai this monsoon. Curl up by the window with piping hot chicken cutlets – a shredded chicken and potato patty mixture that is comforting and delicious. This fluffy bun comes filled with sausages in an onion-tomato mixture and makes for a yummy yet filling snack. Check out Zenia’s blog, Branded Bawi, here.